Forgive me in advance for all of the baking recipes I’ll be posting this week. I seem to be experiencing an extreme obsession with all things flour related. Flour is a pretty cool thing if you think about it. Little grains ground up into a powder – who would’ve thunk? I’m glad something thunk. Because this girl loves flour. IE: cakes. IE: bread. And even though we take the extra step of soaking or sprouting our flours, it hasn’t harbored my love for baking with it. When I first told my sister I was going to make this recipe, she replied with “What do you do all day? Just make animal crackers?” And no, I assure you, that is not all I do. Sometimes, I pick my nose. Or sweep the floor. I kid. At least about the sweeping part. I guess once you get in the swing of things like this, making another recipe just seems par for the course. I’ve been able to establish a system in the kitchen that leaves for some playtime, when recipes like this get to make their debut. Plus, it’s a hobby. Some people do cool things like ski, or ride bikes, or act in plays, or go shopping. This recipe would make a lot more sense if I had cute little animal cookie cutters – but alas, I do not. Such is life. …that aren’t in the shape of animals, so just Cookies then. – 1 cup sprouted whole wheat pastry flour (easily make your own by reading THIS) or use your favorite sprouted flour from the store. 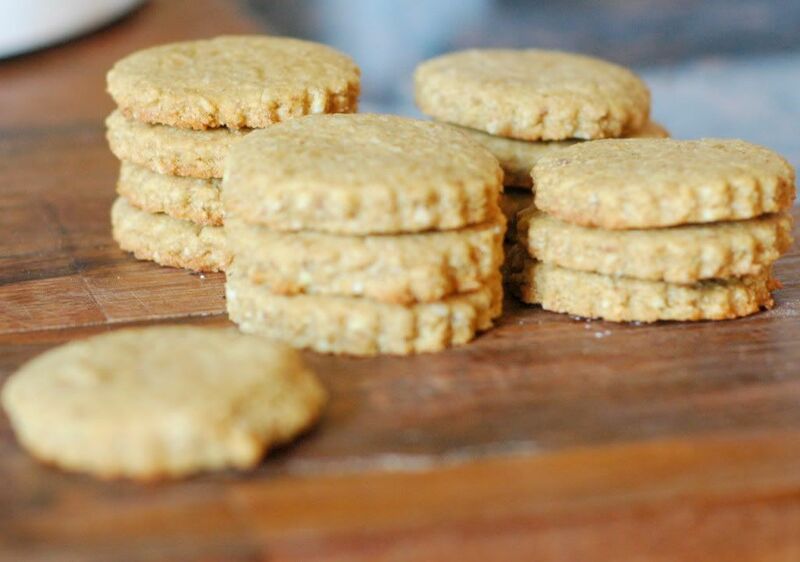 Whole wheat pastry flour is simply ground soft white wheat, which you can also buy at your local health food store or in bulk from a supplier like Azure Standard. Sprouting reduces the phytates in the flour, which block mineral absorption in the body. 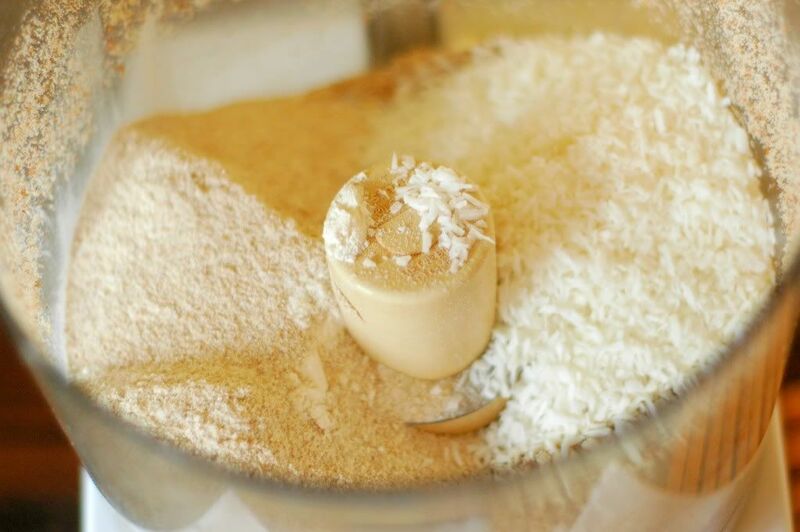 Step One: Combine the sprouted flour, almond meal, and coconut together in your food processor. Blend until combined and the coconut is broken down into smaller pieces. 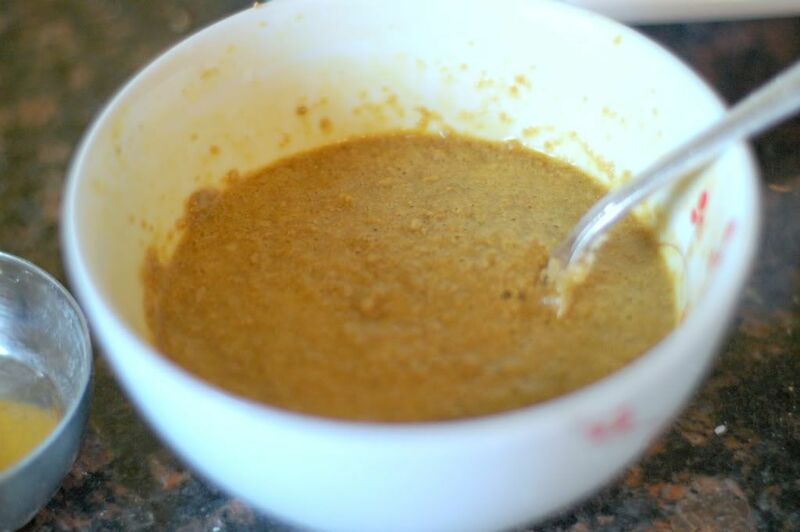 Step Two: In a separate bowl, whisk together the coconut oil, rapadura, salt, and vanilla until it resembles a pretty brown frosting-like consistency. Then, whisk in the egg until combined. Step Three: Gently combine the flour mixture and the coconut oil mixture. Using your hands, knead the dough gently until it forms a uniform ball of dough. Wrap or cover and refridgerate for an hour or so. Or a half hour, if you’re impatient like me. Step Four: On a lightly floured surface, roll the dough out until it’s about 1/8″ thick. 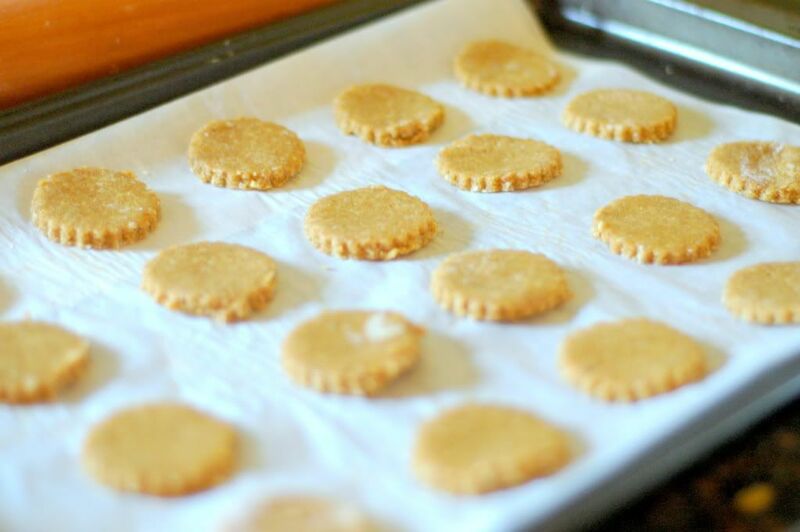 Use whatever cookie cutter you like to make the cookies or crackers. If you wanted to keep it super easy, you could just roll the dough into a rectangle and use a knife to cut it into squares. What-ev-ah. Step Five: Bake in a preheated 350 degree oven for 7-8 minutes or until just golden. 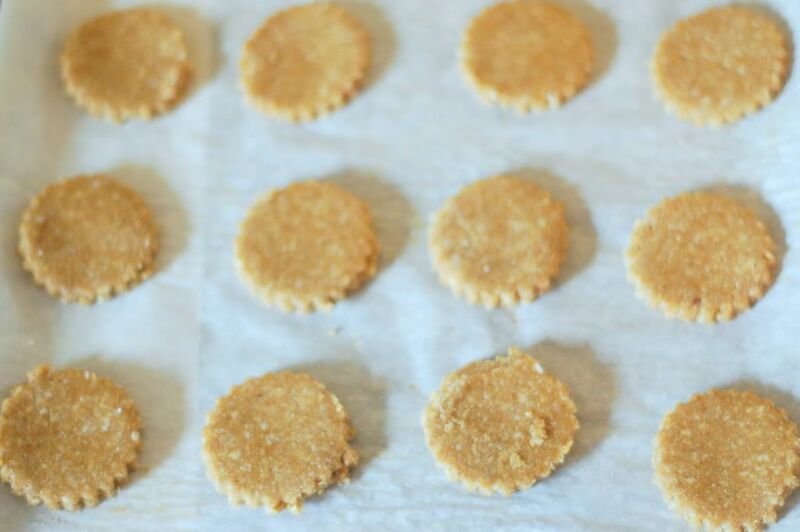 Try to not eat all two dozen cracker-cookies at once, now. Trust me, you’ll want to. When I make these again, I think I’ll triple the recipe. We ate them so quickly, they hardly had time to fill the house with their delicious aroma. And on top of being delicious, they are a wonderful little nourishing treat for a sweet toddler I know. Perfect for packing up in a lunch or an on-the-go snack. I quartered them so she wouldn’t shove the whole danged thing in her mouth at once. I SO wish I would have had a few animal cookie cutters. How cute would those have been! So cute! Oh, how I wish I had them! Alright, alright, I’ll quite coveting everyone who has animal cookie cutters. Yum! My dd6 just asked me to buy some. Now I can make them! 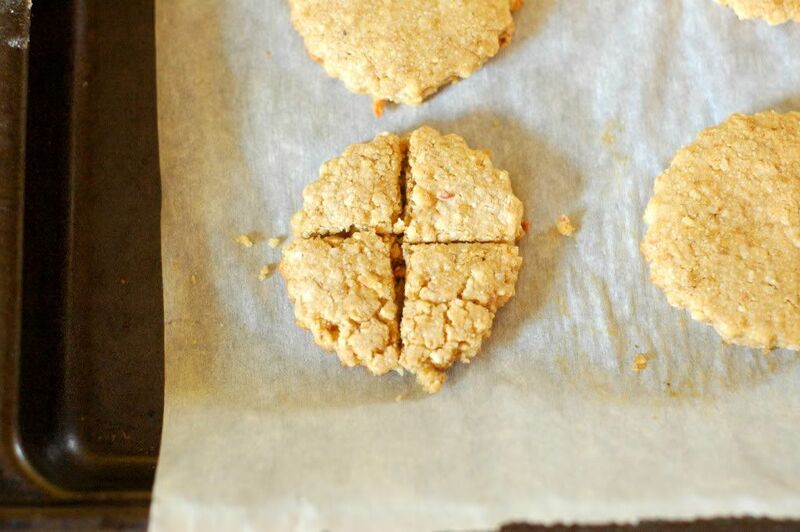 Have you tried freezing the dough and making them later? i dont have rapadura available could i use honey or maple syrup instead? Mine turned out very dry. I added more coconut oil. Not sure why? How do you soak flour and bake with it? I made these and they were very nice. I like my cookies extra crispy, so I left them in the oven for 11 minutes. I cut squares, cause I don’t use cookie cutters, simple, easy and very tasty. I also put organic Almond flakes on top. Thanks 4 posting this recipe!